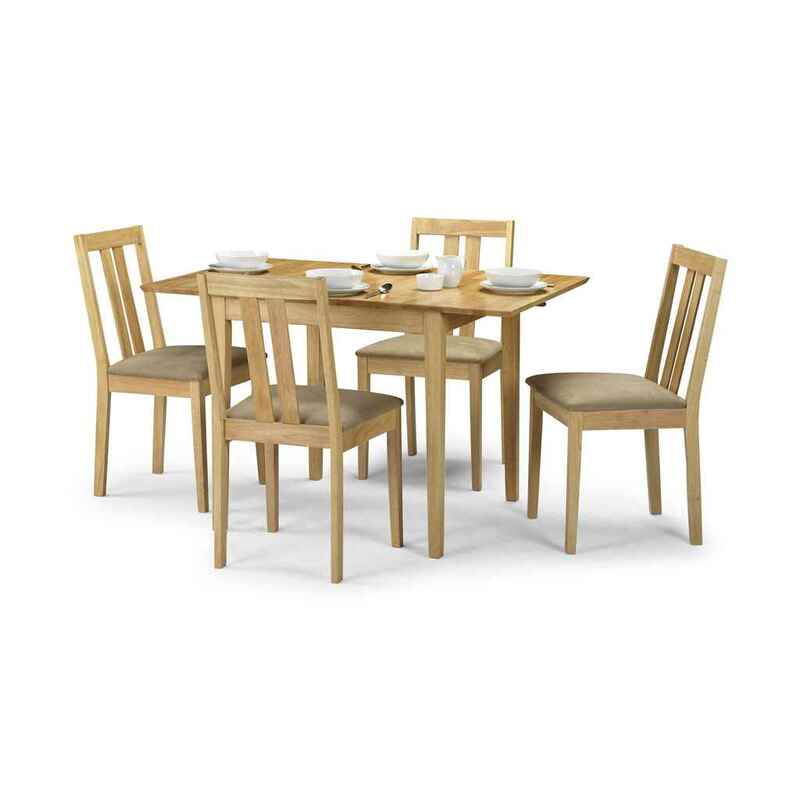 The Tropical Hardwood Dining Set includes is a stylish extending table and 4 elegant dining chairs, all with a natural lacquered finish. The natural finish enhances the beautiful grain of the tropical hardwood. 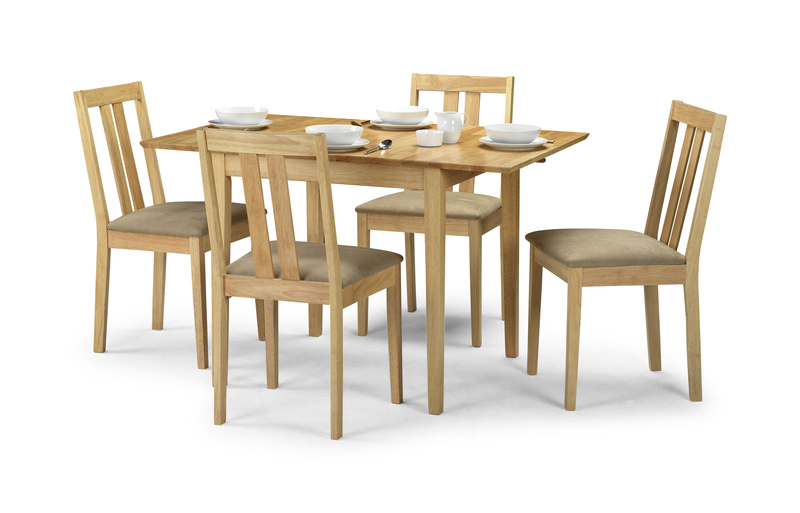 The table is extended using a butterfly system which provides the perfect way to save space as required. The dining chairs are finished with beige faux suede padded seat for added comfort. 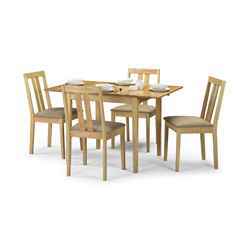 Together the table and dining chairs will make an impressive feature in either the kitchen or dining room. This product requires assembly.